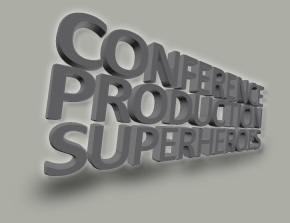 Promus Productions is the conference production company who specialise in delivering high quality, affordable conference solutions to a wide range of discerning clients. Over the past ten years we have worked hard to gain a solid reputation in the event industry by genuine hard graft and attention to detail! We have recently relocated to a brand new office/warehouse facility in Rochester Kent, and this will allow us to expand our business as we move forward into the future. Please do not hesitate to give us a call, a friendly voice awaits you, even if only to offer advice on your conference requirements. We are well positioned to service all London venues, but also cover the whole of the UK and Europe, and regulary support clients in the Far East and Africa.